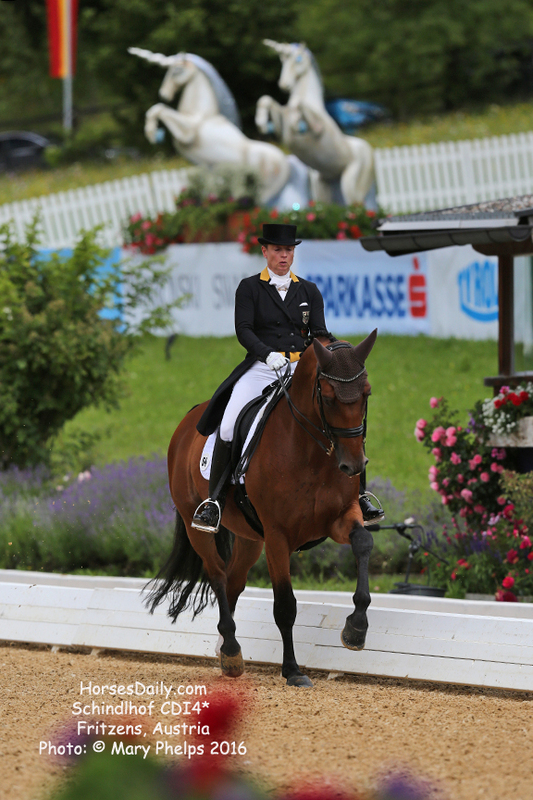 In a world-class performance of the German team at Schindlhof in the Grand Prix Special, Isabell Werth (GER) and Emilio cracked the 80.196 percent riding before 5 Olympic judges, headed for Rio. 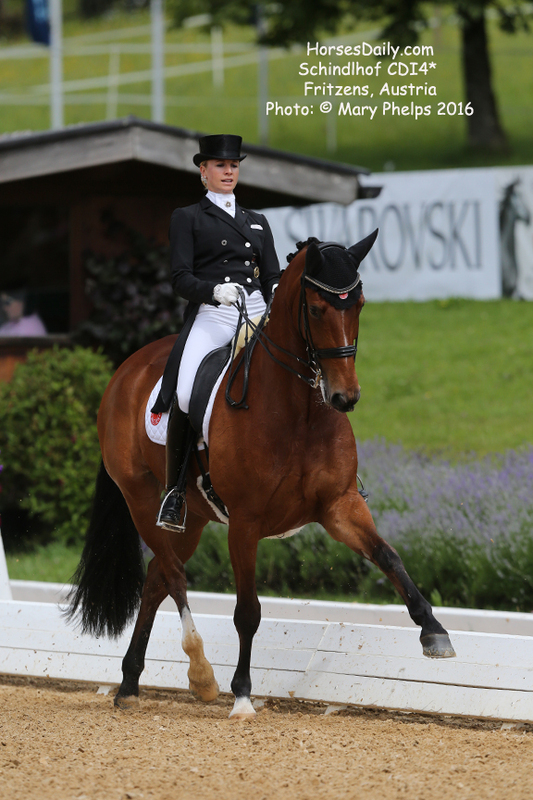 Fellow country women Jessica von Bredow -Werndl and Zaire-E were close behind with a 76.02, and Anna Nolte and Pentimento were third with a 72.843. 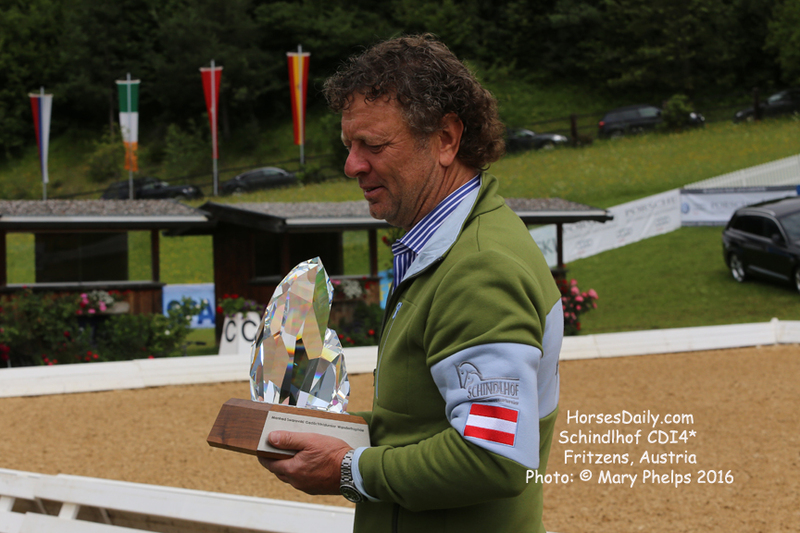 As Isabelle Werth and Emilio stood in the awards ceremony, she could only looking awe as Klaus Haim handed her the brilliant Manfred Swarovski Trophy. 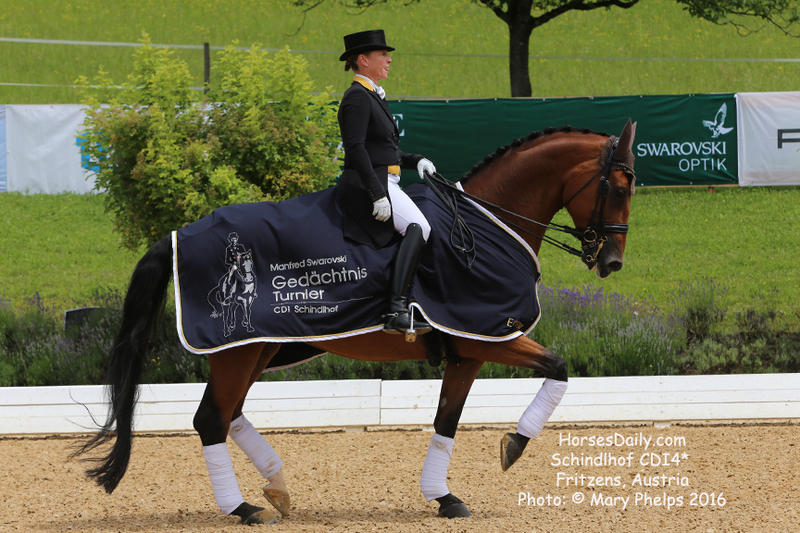 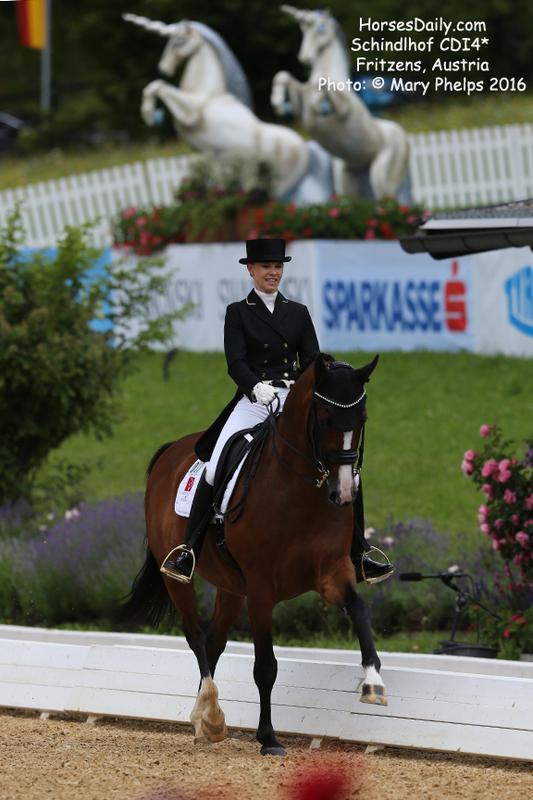 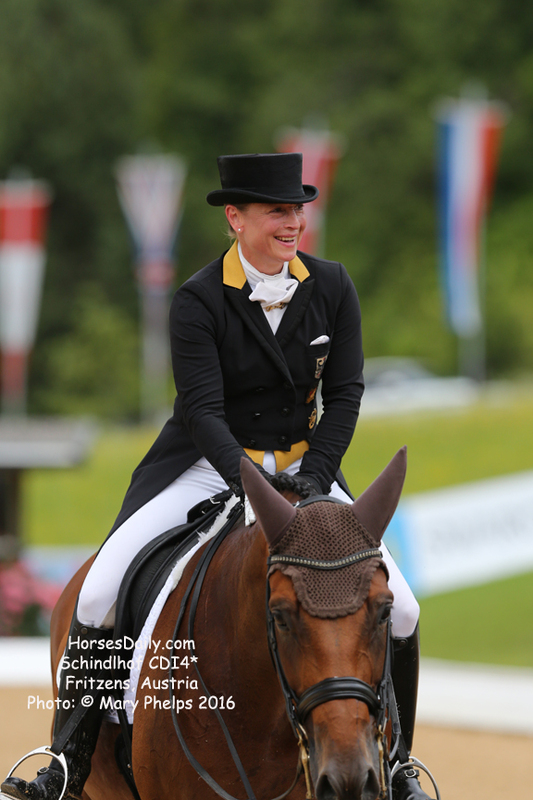 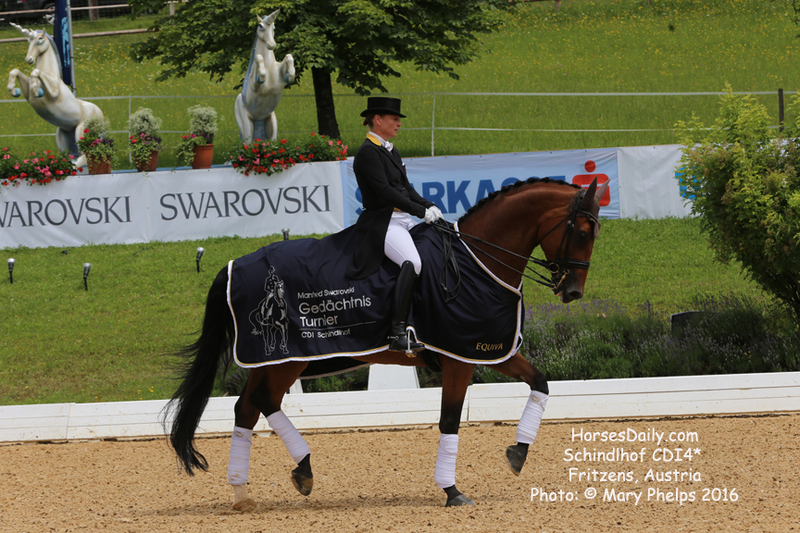 Even Werth with multiple Olympic and World Champion Medals to her name was amazed at the beauty of crystal masterpiece which will now have her name added to the list of winners in the 22nd anniversary of the Schindlhof CDI4* Tournament. 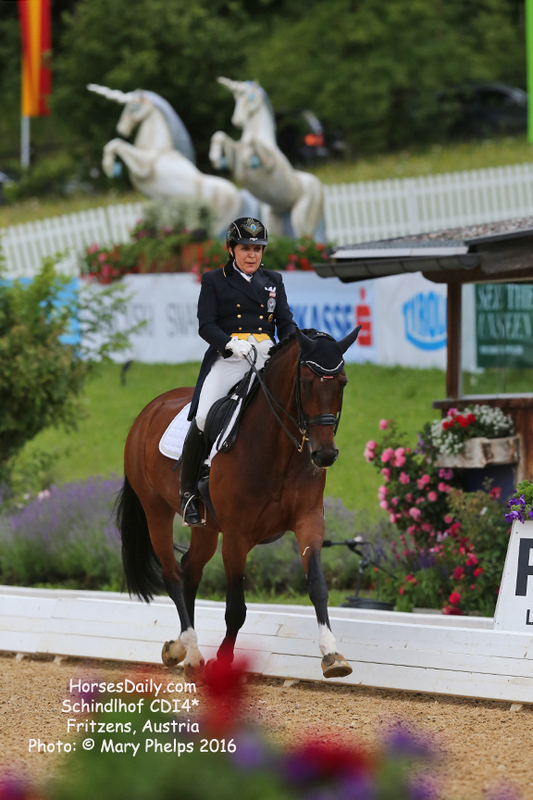 Riders from 9 nations made ​​it to the final of the Top 15 in the Grand Prix Special. 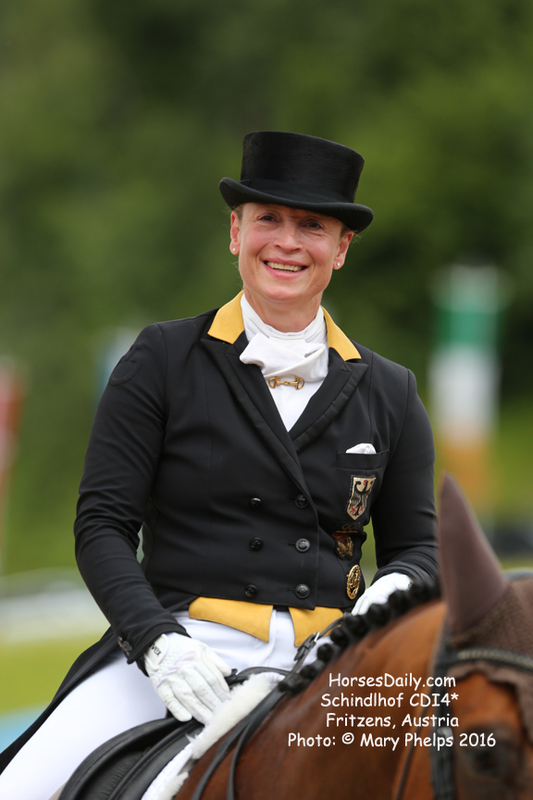 Among them, the only Austrian hostess Evelyn Haim-Swarovski, who remarked critically after her ride, "I have made ​​too many mistakes, but was very proud to have it ever done in this world-class field in the top 15th. 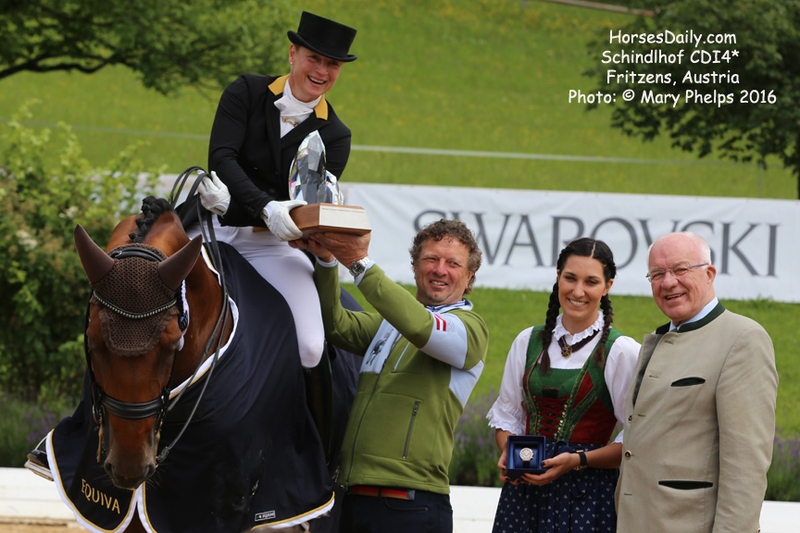 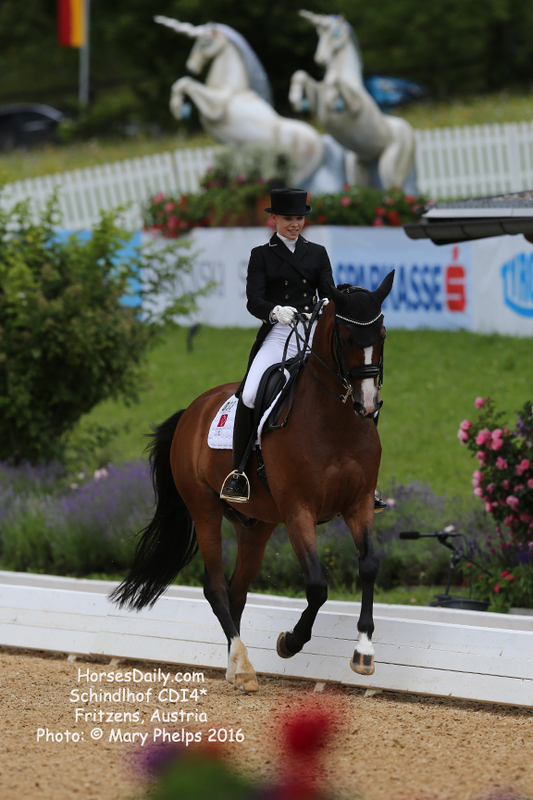 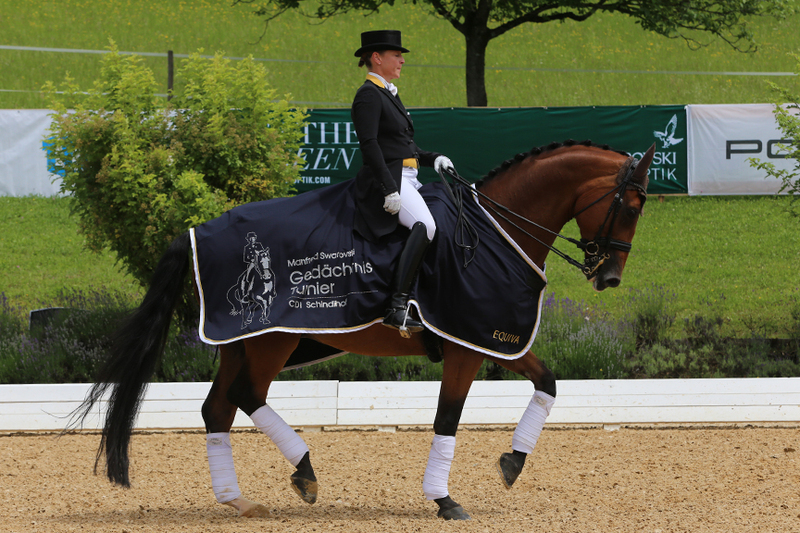 Dorina and I will continue to practice diligently, so we are ready for the national championships at home with us at Schindlhof in September." 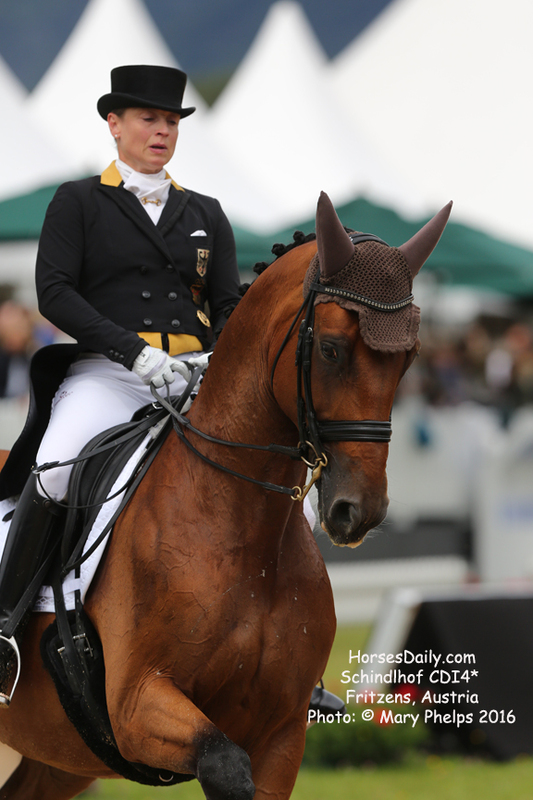 Isabell Werth and her 10-year-old Olympic candidate Emilio still have more potential as they continue to grow together. 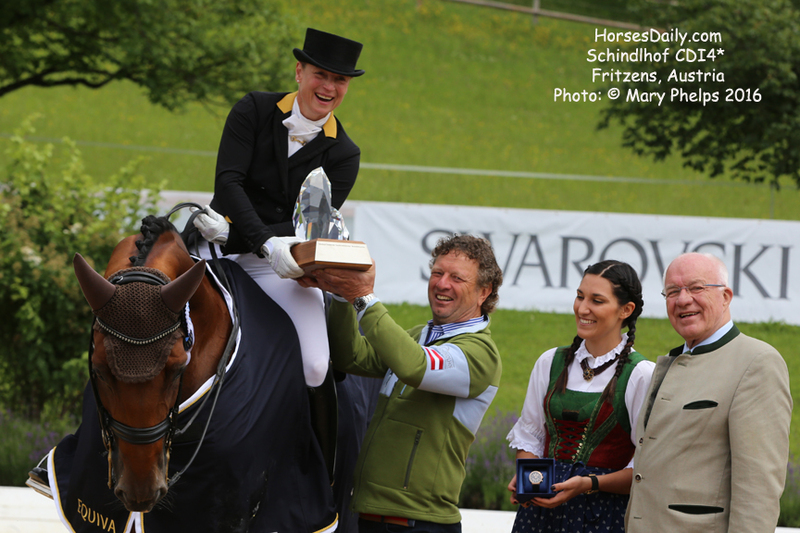 "I'm getting there, I can ride him," announced the 5-time Olympic champion after her Grand Prix victory on Schindlhof with Emilio.